In terms of location this is up there with the best. The piste runs right next to the hotel and is ideal, for both families wanting to take their children to ski school and keen skiers and boarders who want to get the first lift. The large lounge and dining areas are a great place to relax at the end of the day and the games area means that the kids are kept occupied. The standard of food is very high and fills you up after a days skiing. If you’re looking for easy access to the largest ski area in Europe, comfortable accommodation and great food this is the place! 49. Twin rooms have bath, shower attachment, telephone, satellite TV, safe and mountain or piste facing balconies. Some rooms can take an extra bed (80cm wide). 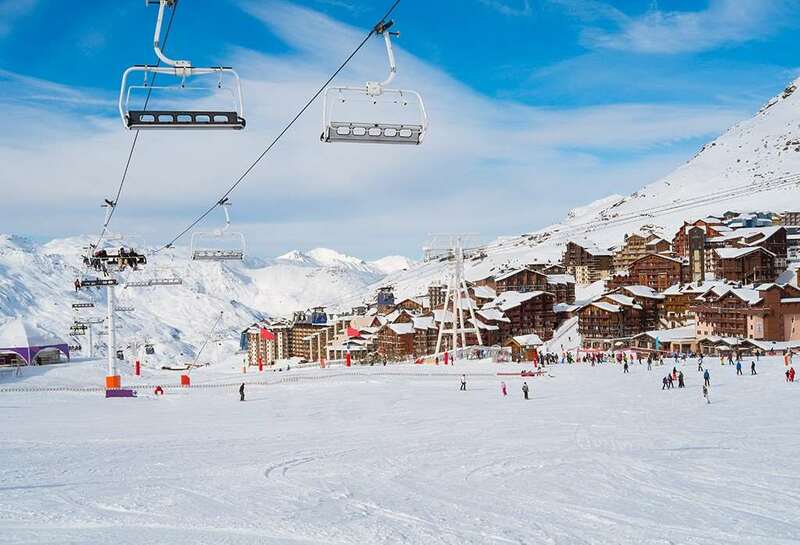 Val Thorens and the 3 valleys are a great resort to go to and ski/board, loads of runs of different difficulty levels and more than enough for a weeks holiday in the mountains. We found the hotel to be very comfortable, the beds are soft, the rooms are clean, and the views out of the window are amazing. The breakfast is great, you have a lot of choice, and although it is the same choice every day there are enough different items so that you could potentially have a different breakfast each day. The dinner is fantastic, a 5 course meal every evening, the first one being soup, and the last 2 being a cheese course and a desert course. There wasn't any dish I was served that I didn't like, and 1 evening they do a fondue night (either cheese fondue with bread or meat fondue with hot oil and fries) which was a great change. I would highly recommend both the resort and the hotel, and would definitely stay there again. Just returned from a fantastic holiday at Val Thorens, hotel is in the best location 100% ski to and from door, rooms were very tidy and cleaned daily. We stayed in room 310 with great views, staff are very friendly and helpful, easy walk to resort center, with all the ski hire shops, would go back tomorrow.